We can deliver your floral gift anywhere in the Denver Metro area and can transfer almost anywhere in the world. Minimum Order for delivery is $49.99 before tax and delivery. If you call or place your order to be locally delivered to these zip codes (80020, 80021, 80030, 80031, 80234, 80003, 80004, 80005, 80007) before 2:00PM, we can usually arrange for same day delivery Monday - Friday. For all other zip codes we must receive the order by 11:30am (MST). We stop accepting orders for all same day deliveries at Noon on Saturday. 80020, 80021, 80027, 80030, 80031, 80038, 80221, 80229, 80234, 80241, 80001, 80002, 80003, 80004, 80005, 80006, 80007. 80010, 80011, 80012, 80013, 80014, 80015, 80016, 80017, 80018, 80019, 80022, 80024, 80033, 80111, 80112, 80120, 80121, 80123, 80124, 80125, 80126, 80127, 80128, 80202, 80203, 80204, 80205, 80207, 80209, 80210, 80211, 80214, 80215, 80216, 80218, 80219, 80220, 80222, 80223, 80224, 80226, 80227, 80228, 80230, 80232, 80246, 80249, 80260, 80264, 80290, 80293, 80294, 80301, 80302, 80304. We are very close to, and can deliver quickly to the cities of Westminster, Broomfield, Superior, Louisville, and Arvada. We service Flat Irons Mall, Avista Hospital, St Anthony's Hospital, Exempla Good Samaritan Hospital, The Interlocken Business Park, The Omni Hotel, The Westin Hotel, Ball Aerospace, Sun Microsystems, and Level 3 Communications. 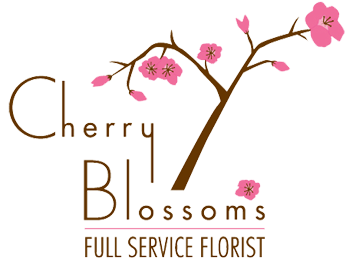 If your delivery is going to a zip code not listed, we can transfer your order to another florist. The fee is $$20.95 which includes a service fee and a delivery amount for the delivering florist. However, please feel free to call us instead, and we will help you pick a good florist in that area and you can speak with them directly. We do not know other florist's product availability and cannot guarantee what they will deliver. Our designs are uniquely ours, so it is always best for you to connect with the delivering florist yourself to explain your order expectations.